A webshop made by Yellowshape sells your products 24/7, scores high in search engines like Google and is easy to manage yourself. Do you want to start a new webshop or renew your existing internet store? Yellowshape always makes a design that fits the products you sell. And especially: the target group you wish to address. Furthermore, we make your products findable in search engines. Thanks to that combination of services, you not only have a graphically beautiful webshop, but you also get more sales. When you work with Yellowshape you can count on experienced webshop builders and online marketing experts. Brand experience: we strengthen the image of your company. With powerful images we generate the interest of potential customers. Product window: we show your products in a structured way. And in an attractive design that appeals to the consumer and fits in with your house style. Navigation & search function: the consumer simply navigates through your offer. And quickly finds what he’s looking for, which makes the step to a purchase small. Content: your potential customers will find information about your brand and products in the webshop, but also about your service, social media and news from your sector. Over the years, we have developed a system with proven results. We reuse these modules and therefore don’t have to continually re-develop them, which implicates a lower cost for your business. Does your case still need an extra functionality? No problem, we add it effortlessly. Did you know that no less than 80 percent of the surfers is active on the internet with a mobile device? 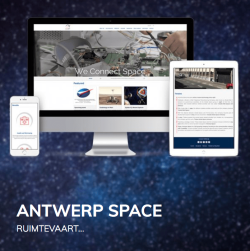 Your webshop should therefore work on every type of device: from desktop to smartphones and tablets. If not, you’re missing out on customers. Correction: lots of customers. We make our webshops completely responsive for mobile devices. That technical term seems complex, but it’s actually very simple: your website aligns itself with the screen of the potential customer. When the visitor ends up on your website via, for example, an iPhone, the website adapts accordingly. That way your website remains accessible to everyone. And that certainly benefits the number of sales. People do not search the name of your webshop in Google or another search engine, but they type in the products that you sell. Your webshop should appear in the first search results, because otherwise you’re invisible to your target group. The optimization of the structure and content of your website. Keyword optimization. For example, our SEO consultants see which keywords consumers use when they search for your products or services. The maximization of external backlinks, which we also call 'link building'. By using the right SEO techniques, we thus reach potential customers who don’t yet know your company, but are looking for your products. 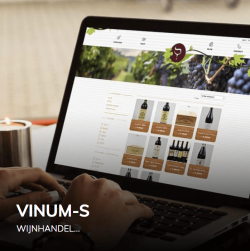 Do you want to start your own webshop? Then we give you free advice on the potential that you can achieve with SEO. Our webshop specialists build your webshop on top of a content management system or CMS. Such a digital platform gives you the possibility to easily make adjustments yourself. 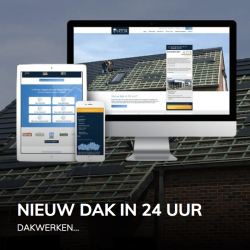 Do you want to change a text on your webshop? Update information about a product? Or add images? No problem. Our Yes-cms automatically stores your data in the fixed layout of your web store. Do not be afraid: we will not leave you on your own. Our webshop builders give you a thorough CMS training in our office. Afterwards we support your web shop where necessary. Furthermore, you get the results of the online marketing campaign every four weeks in a clear report. Are there any questions? We’re happy to answer them in a Yes insight session. Let us get to know each other!